Easter comes early this year on March 31st, so I thought I would devote this month’s Fashion Fridays to Easter outfits worn over the years. In this photo from 1969, the theme seems to be symmetry. 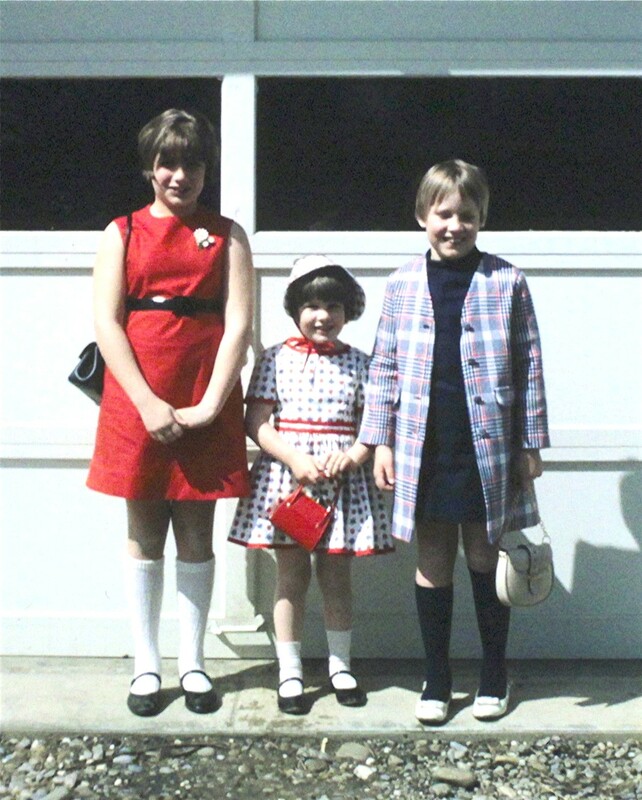 It appears I’ve pulled on the white knee socks to offset the floral pin, and the black patent leather Mary Janes balance out the purse and very high-waisted belt. We’re a happy crowd.